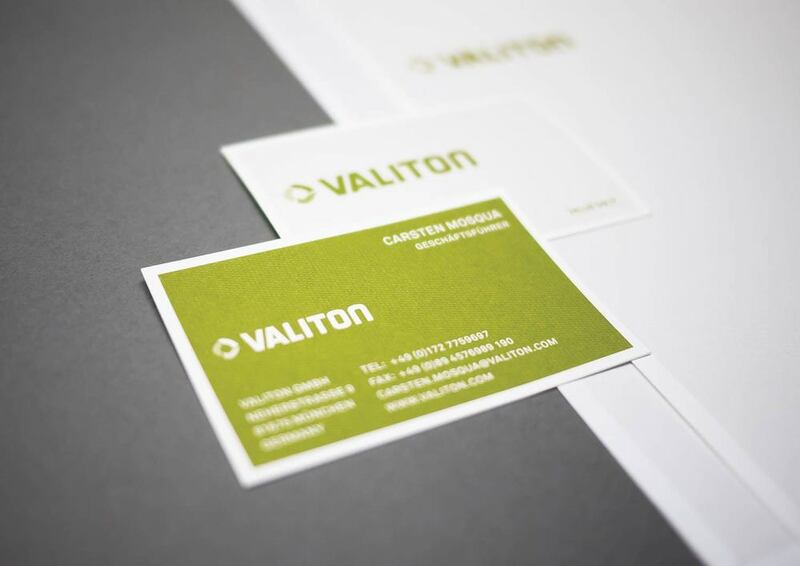 Development of a Corporate Identity and name creation for the full-service web provider Valiton GmbH. Burda Digital Systems founded a full-service design company and we were tasked with doing it all: creating names, logos, fonts, slogans, websites, stationery, etc pp, etc. The founder Gerhard Thomas was extremely cooperative and positive but also relaxed as is uncommon for a start-up. 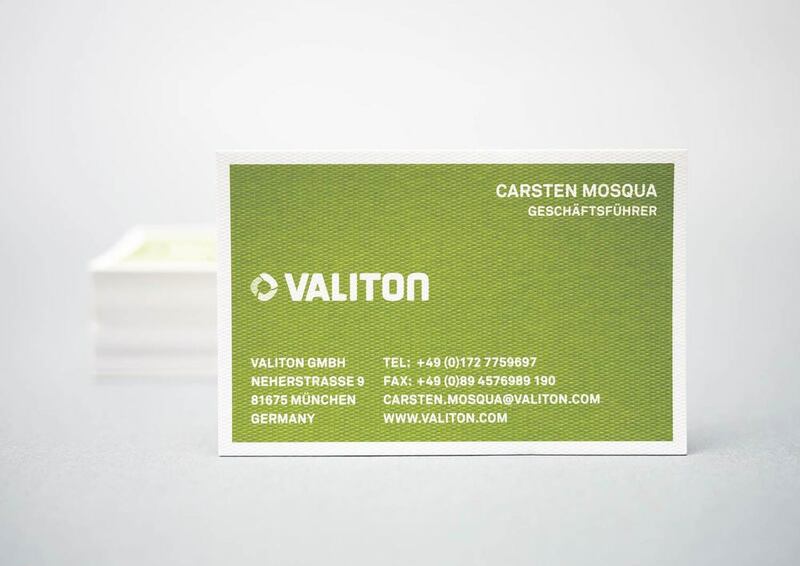 After brainstorming for a long time, we came up with the new company name VALITON – it sounded warm and friendly. Like a mixture from the Swiss word “canton“ and English word “value“. We still love the name. When it came to the logo, we used the typeface Adobe Challenger Bold, continuously modifying it until it was graphically compelling. When we showed our clients the long road to developing this new logo, one partner had these golden words: "I was never aware that design is such complex and hard work. I’m deeply impressed." No wonder we left that day all puffed up with pride. Respect makes the world go round.